Mineraux has built a reputation for providing high quality mineral makeup line made from the USA but packaged and perfected here in our beautiful tropical islands, Philippines. Having been a user of Mineraux for nearly a year now, I have still yet to try their lip products. 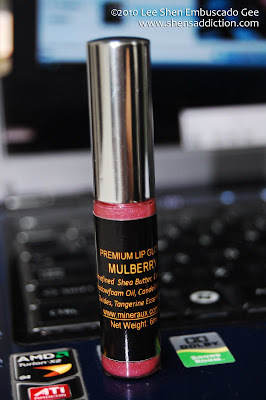 Thankfully though, I received a sample of their liquid lip color in Mulberry. 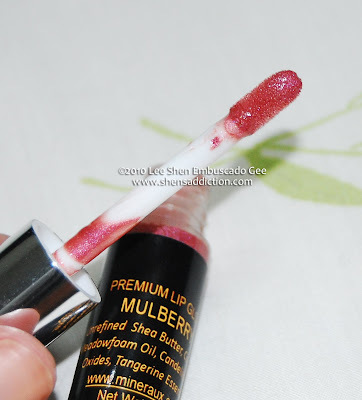 Mulberry is a warm pink shade in sheer gloss. To wit, its a mixture of mica and iron oxides to create that adorable deep shade of pink with assorted oils that will provide the much needed moisture our lips need. 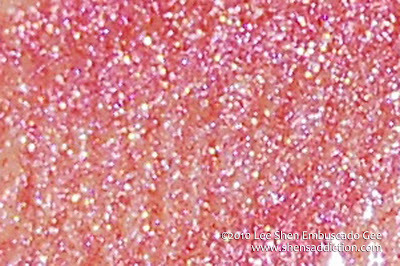 Mineraux Premium Lip Gloss reminds me of Lumiere Lumilips. It's almost the same in texture and feel. It is not all sticky but clings to the lips as it should. The lasting power is about the same as any typical lipgloss, but longer if you avoid eating or drinking. The pigmentation could be controlled by application and you'll hardly need lipstick because of the intensity of the shade. Definitely, this shade compliments my skintone. But honestly, the fairest of fair and the tannest of tan will likely love this shade. I love the hint of shimmer it gives on close up but an even shade all over if I was farther away from the mirror. This a a great everyday lip gloss especially when I'm in a hurry to put on any makeup at all. Priced at Php400.00, many of the pinay enthuasiast will find the amount a bit steep and this is one and only con I find in the totally of my review of this product. They accept Paypal, Gcash and Bank deposits as modes of payment. 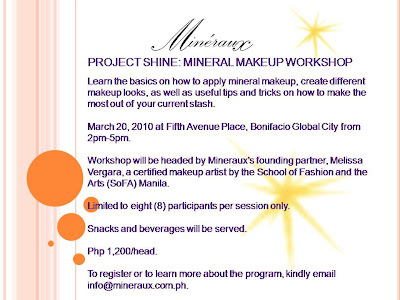 They will also be conducting a makeup workshop for all of you who wants to know a thing or two about mineral makeups and its application techniques. See details here. Hi, i've never heard of this brand before, but the colour looks amazing on you. thanks very much for such a detailed post.